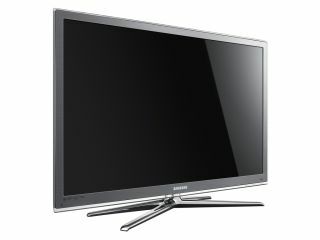 Samsung has announced a UK release date for its new line of 3D TVs and Blu-ray player. The new line will be landing in the UK in March (as we previously reported), in plenty of time for the 3D explosion at the end of 2010. The LED 8 Series, 7 Series the LCD 7 Series TVs, along with the BD-C6900 Blu-ray player, will be the first 3D models will roll out in the UK from March. These will be followed up in the UK by LED 9 series TVs, the Plasma 7 Series and the HT-C6930W home theatre system a few months later. All of the 3D TVs will feature built-in Ethernet connection, wireless capabilities, and Internet@TV, offering access to the TV platform application store, Samsung Apps. For the TVs, Samsung has included in its 3D processor an auto-conversion technology to switch 2D content into 3D in real time, allowing users to add a level of depth to a live programming. "The success of recent 3D movie titles is building anticipation from people who want to enjoy the richness of 3D content from the comfort of their living room," said BooKeun Yoon, President of Visual Display Business, Samsung Electronics. "We are confident that by being first to market [with 3D technology] with the best integrated technology and approach, we have the best opportunity to capitalize on the market anticipation and continue to strengthen our leadership in 2010.